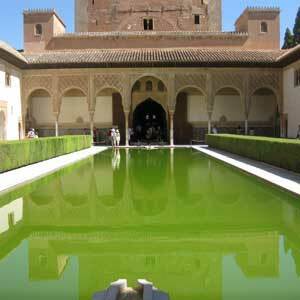 Join a Alhambra Tour with Tickets, Guide and Hotel Transfer all included. 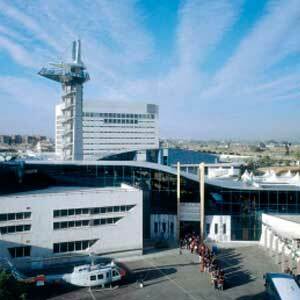 After visiting the Alhambra you will step into the world of science in the fantastic Science Park of Granada, one of the biggest interactive museums in Europe. 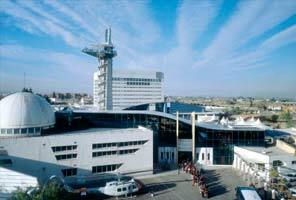 The Science Park is an interactive museum of over 70,000 m2 located a few minutes from the historic city centre of Granada, with one of the most varied offers for cultural and scientific leisure in Europe. Some of the permanent exhibitions include "Journey through the Human Body", "Culture of Prevention", "Biosphere", "Al-Andalus and the Science" and many more... Do not miss the planetarium and enjoy the limitless dimension of the Universe. 1. Pick up and drop off from your hotel in the city. 3. Accompaniment by a specialized official guide. 4. Ticket for the Granada Science Park for the afternoon. Meeting time and point: We will pick you up from your hotel in the city between 9.15 and 9.45 am. Alternatively, the meeting point will always be at the Granavision Welcome Visitor Centre, next to the Alhambra (just 100 meters from the Car Park No. 1), between 9.40 and 9.50am. Although the tour will start from 10:00am, our Reception Centre is open from 8:30am, so we recommend you to go early in the morning, so you can find out information about tourism offers in the city, enjoy our reading spot and free Wi-Fi area or have breakfast in the café while the children have fun in the play area. Our greatest wish is that your day in Granada starts in the best way possible. End of the guided visit: You can walk down the forrests that surround the hill of Sabika or we will drop you off at your hotel.